To ALL the Husbands and Husbands to be. Husbands, love your wives and do not be harsh with them. Other versions say, do not be angry, or bitter against them. We have been praying for our husbands this week, and I feel a need to speak to every brother who is getting ready to say I DO or who has said I DO. I am a wife, and mostly, when it comes to men, I picked a lot of lessons from my dad, and I pick some lessons from my husband too. Dads being the first men we interact with as girls: It is only natural that I drew my lessons about men from my own dad. As for my husband, Christ taught me about marriage through him – so it’s again natural that I draw other lessons from him too. This time round, it’s your turn Mr.! 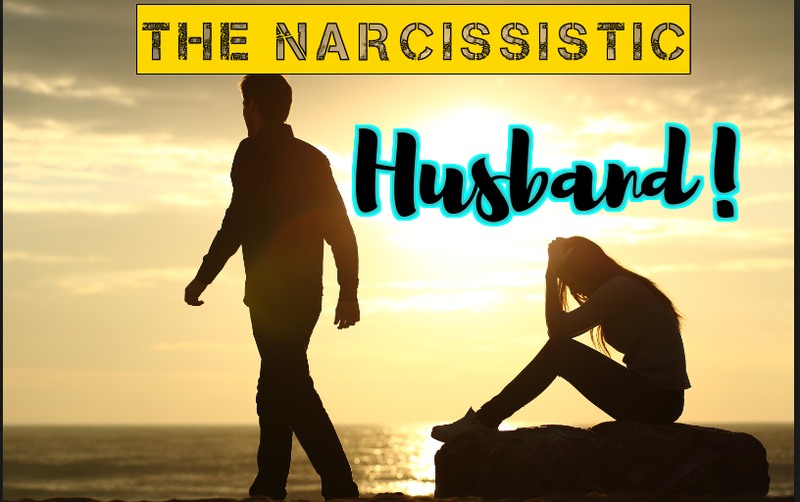 From the contentious wife to the angry, narcissist, harsh man who deals with the wife so bitterly. Marriage is a beautiful thing, but the problem comes in when the husband is domineering and the wife is contentious. As a husband, the greatest problem is living in understanding with the wife that God gave you. It is very easy for you to be angry and shift blame, rather than take responsibility. Adam did, and shifted the blame to Eve. When the Lord came to visit them in the evening, he called out to Adam. Adam! Where are you? In other words, God was asking, Adam, where were you when Eve was straying? Where were you when the serpent was whispering to her? Why wouldn’t you take your rightful role as a husband? God calls us to do those things that we naturally don’t do, and living with understanding towards your wife is one of those things that aren’t natural for the man. Men tend to lead with their minds, the logic side he has, dictates most of his course of action. For women, they would lead with their minds, but rarely does that happen. Often, their actions are dictated by their hearts. What they feel at the time. Women are emotional. Whether we want to dispute it or not, it’s the rule not the exception. It happens ever and anon. As I always say, there is no caveat in the Bible that says, when you not okay with something that your wife/husband does, get back to them! Husbands are commanded to love their wives, and not be harsh with them. They should be leaders in their households, not rulers! If you don’t lead your wife in love, then it is correct to describe you as a narcissistic man, and that is the origin of male chauvinism! Your first name should be Angry Mr. so and so, or Mr. Narcissistic so and so! This are the characteristics of a narcissistic, angry domineering man. He is the Alpha male. His way is his way, it cannot be contested, it cannot be questioned. He is domineering with constant outbursts of jealous fits. He is a ruler in the house, not a leader. He always reminds the wife that he is the provider. It is always a song in that house. He is the kind of man who calls attention to himself. I am, I did, I will, I won’t, I don’t. He is a micro manager. He has to make every decision in the house. Including how many tomatoes need to be bought! He uses sarcasm and is always a critic to the wife. Always sees the fault in her. Nothing she does befits his kingship status. He justifies every negative behavior and blames the wife for making him act so. It is either blame-shifting, denial or diversion of his mistakes. If have those characteristics, chances are that you are one domineering man…and it is time to go back to the Master’s hands for a re-mold! So if you want your wife’s submission freely, then you have to change the way you do things. She’s your mirror! She tells you how Christ like you are! Start loving her, start being sacrificial to her. Agape love goes beyond the SELF needs. You need to be able to and must be able to accept responsibilities for your actions without shifting blame to another especially your wife! You should have the strength to protect and shield your wife even from your own weaknesses! The Lord can help you do it! He tells you to take upon His yoke and carry it! Agape love is forgiving, and overlooks “small” mistakes, but corrects in love, not through neglect or being harsh. Trouble starts when the man says, “I am the man, I say, and you follow.” Mr., your leadership in the house should be as Christ’s! He leads in love, he never coerces anyone. Where there is such love, there will be no question of mere command and obedience, no tenacious adherence to rights, or calling for independence. She will follow your direction with ease. Your wife is not a competitor. You are not Safaricom, Airtel and Telkom, competing for the same market space. She is the greatest comfort and blessing God has given you in your life. You guys already have your bubble. You have your land. Till it. That is how marriage is. You are not supposed to be a micro-manger that you stifle your wife to the very core! Secondly, I have heard some men accuse their wives of taking things personally, and are really harsh at them. Trust me that is one difference that men and women have. Nothing weird, just how God made her. Let me give you a secret Mr., Women express what they feel, men express what they think, that is why she will take every word you say personal. Every word she receives is an emotional experience, for you as a husband, you are just getting information! You can’t treat her with contempt just because something has aggrieved her. She is not you. The language heard by a woman is purely an emotional experience and the language heard by a man is just but receiving information. So here is my example. One day, my hubby really got unto my nerves in the morning, and we were to go to Sarit in the Afternoon. Well, he tried to understand my feelings…sat me down, and we sorted the problem, before going out. If he had reacted as a “man” then we would be spinning each other’s heads out that day. I thank God for my husband. I thank God for his submission to Christ first before me. Trust me my fellow brothers, YOU GIVE AGAPE LOVE, YOU RECEIVE AGAPE LOVE. The greatest way you can minister to your wife’s mind and heart is through Love, agape love. Treat your wife with kindness, and with tenderness. Christ gave himself to us, loved us even in death and as a husband, you should love your wife that much! The more you resent your wife on the inside, the more you will express it on the outside. You need to find your satisfaction in the Lord first before demanding anything from your wife. You need to learn how the Master loved you first before knowing how to love your wife. The SELF dies! You become generous, you give all, holding nothing, demanding nothing just but the debt of love. Husbands, it’s time to stop being “macho” toward your wife, quit acting as male chauvinist and self-aggrandizing to the woman you married. You need to let the Lord fill you with compassion, humility, gentleness and act with patience towards the tender heart of your wife. Your wife’s emotional, spiritual, physical, material well-being entirely depends with you(apart from Christ). When the Lord comes, He won’t ask “Mary, where are you? He will ask “Johnny, where are you?” You have no caveat of being rude, just because she is not doing something right. She is not the “rough copy” she is your fine copy. Made from you, for you. Her joy will be in following your direction. She will willingly follow. Her spirit will be spirit of joy. Remember, where there is a love like that, there will be no question of mere command and obedience. LOVE, AGAPE LOVE WINS ALWAYS! Previous PostDAY 5: THAT HE WILL BE SATISFRIED WITH THE WIFE...Always. Next PostLove is not rude..it protects.